I’m trying something new, where I share some thoughts on a few topical items in one post. Less than I’d write in a full post on each, but more than I’d include in Edmonton Notes. I’ll organize them here. Have feedback? Let me know! City Council unanimously passed Edmonton’s first multi-year Operating Budget today, with a tax increase of 3.4% in each of 2016 and 2017, and 4.8% in 2018. For a “typical home valued at $401,000” that’ll work out to an extra $76 next year, according to the City. Roughly 2.6% of the increase is to cover population growth and inflation, and 0.8% is for the Valley Line LRT. The 0.1% decrease for 2018 comes from the $1.2 million that was leftover when all of the requests were decided upon. A small gesture, but still. It’s probably not as much fiscal restraint as some would have liked, but Council did make some important decisions to reduce the increase down from the originally proposed 4.9%. First, they cut the 1.5% for neighbourhood renewal in 2016 and 2017, leaving the decision about 2018 to the next Council. Second, they finally did something about the ballooning police budget, capping increases to population growth and inflation. And third, they stood firm on affordable housing and the low-income transit pass, saying they are important initiatives but need funding from the other orders of government. Whether or not they get any additional funds remains to be seen. One thing Council is planning to spend money on is the full service review, a process that could take three years and cost up to $3.75 million. They approved the preliminary terms of reference for the project today. Props to Elise Stolte for all her live budget coverage on Twitter over the last week! Check out her list of budget winners and losers here. A new category, Event Venue, was introduced this year too so next year there’ll be one more award. I wasn’t able to make it this year, but I did attend last year and enjoyed learning more about the program. In addition to competing for the awards, venues receive accreditation for meeting specific standards related to safe operation and responsible management. 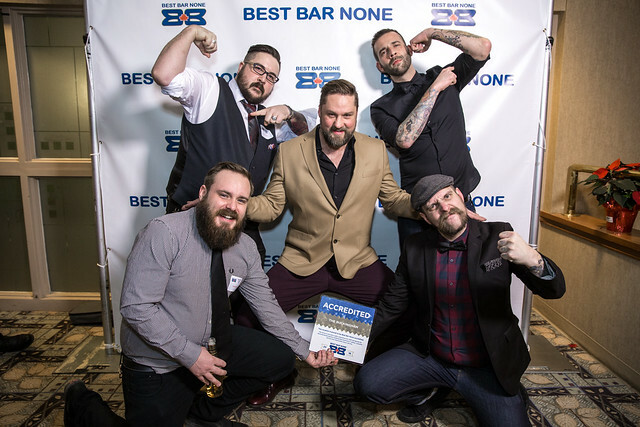 “The value of Best Bar None lies in the fact that those bars that meet stringent standards have demonstrated that they are responsibly managed, and that they are committed to ensuring their patrons can socialize in a clean, safe, well-managed establishment,“ said Brian Simpson, Deputy Chief, Edmonton Police Service. You can see the full list of accredited venues for Edmonton here. Congrats to all! The Edmonton Journal released its Power 30 list for 2015 on Saturday, and so begins the season of lists. There’s nothing particular surprising about the list. Premier Rachel Notley at number 1 was easily predicted, and Amarjeet Sohi at number 2 is hard to argue with. I’d say my eyebrows went up seeing Daryl Katz at number 3, ahead of Mayor Don Iveson at number 4. I think Mike Nickel at number 8 (the only Councillor on the list) is a great choice – he’s been a pleasant surprise on Council this term. I would have expected to see Police Chief Rod Knecht higher than 25 and Bob Nicholson lower than 11. Great to see Andrew Leach on the list at 15. Many were quick to criticize the lack of gender and racial diversity, but the list doesn’t show who should be considered powerful, but who actually is. By that definition, it’s not surprising that many of the people on the list are there just because of the positions they hold. Like, um, Connor McDavid. He’s got celebrity and the spotlight, but really? And at number 10? !